The Northwest Washington Chef’s Collaborative will be presenting the Chef in the Market series this year! Each third Saturday of the month you’ll see two chefs from two different restaurants pair up to create a simple, delicious dish that showcases local ingredients and partnerships with local farmers. Starting at 11, the Chef’s will do a few short demos every 1/2 hour, showcasing local ingredients, products from farmers at the market, and preparations techniques and tips. There will also be lots of samples! Chef in the Market brings local Chefs to the market for free demonstrations. Find out how to cook the freshest produce the market has to offer. Eating seasonally, getting to know your food producers, and learning from local chefs are just a few of the benefits of shopping at the Bellingham Farmers Market. 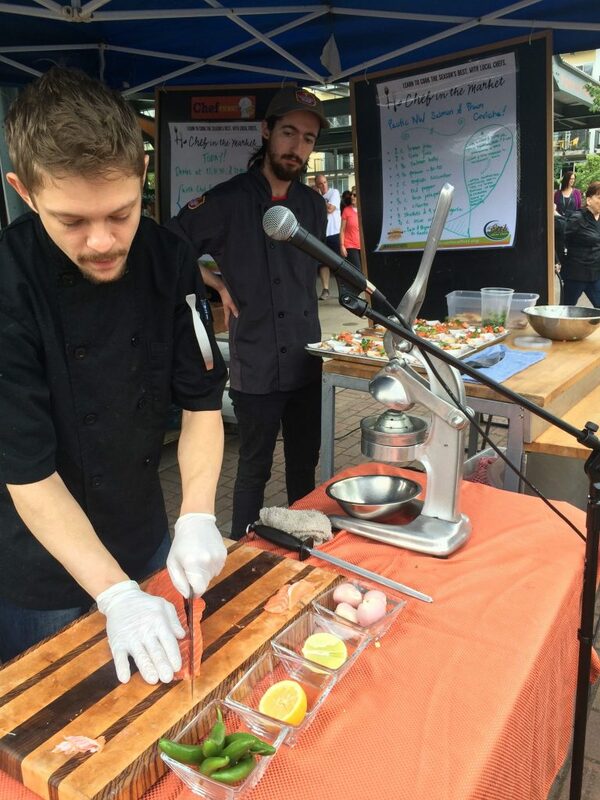 All Chef’s Demos take place in front of the Depot Market pavilion under the blue canopy at 11am.